I'm trying really hard to be cool and hip - to be on the cutting edge of food trends. 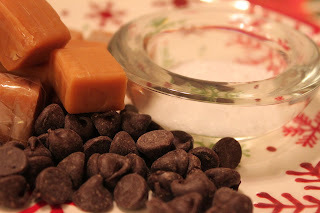 So, when I saw the term "salted caramel" all over the magazines and internet, I needed to see what the buzz was about. I've always loved the combination of salty and sweet so this sounded right up my alley. I decided it was high time I invested in some course sea salt and moved into the 21st century of desserts. 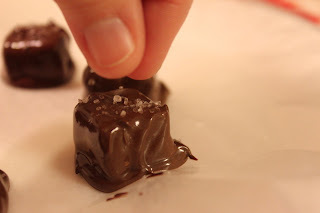 This post is a combination of recipe and review. I needed to ease myself into this thing so started with a simple recipe that I found on the Kraft web site. 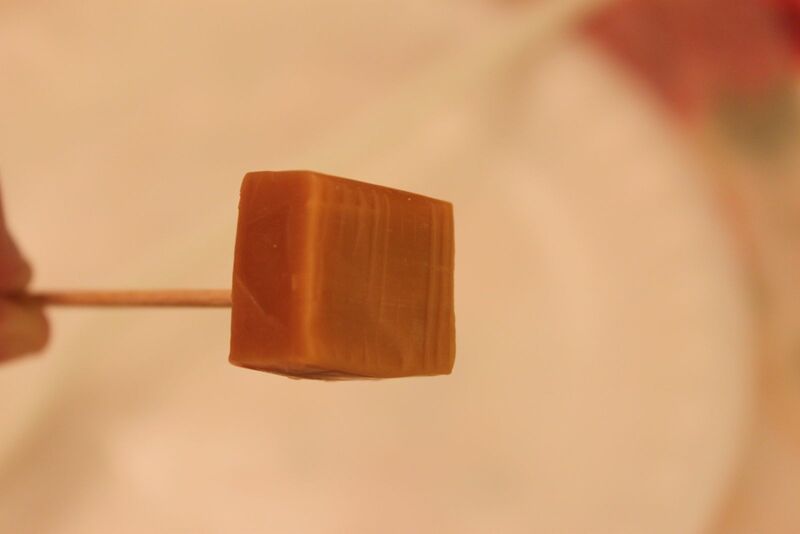 Insert toothpick into caramel; dip in chocolate. Shake gently to remove excess chocolate. Place on waxed paper-covered baking sheet. Remove toothpick. 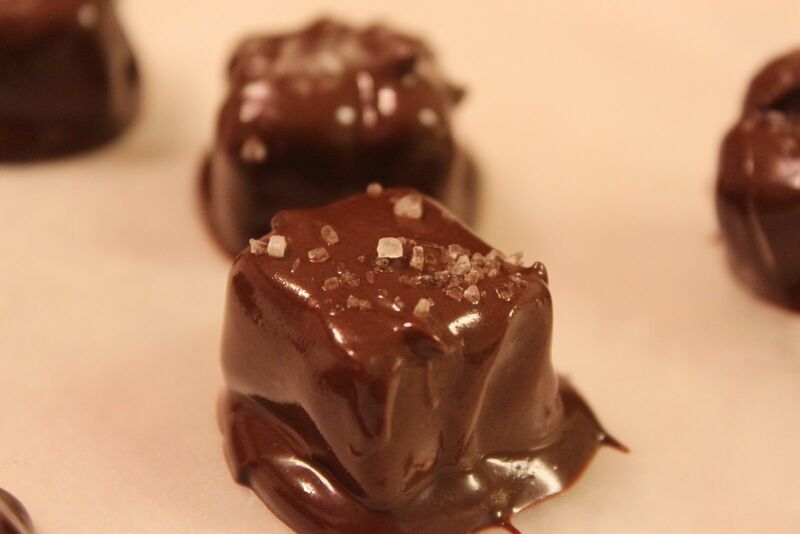 Repeat with remaining caramels. Sprinkle immediately with salt. Let stand at room temperature or store in refrigerator 30 min. or until chocolate is firm. I didn't have semi-sweet squares so I used some semi-sweet chocolate chips. Because this was a test-run, I just melted a small amount of chocolate. 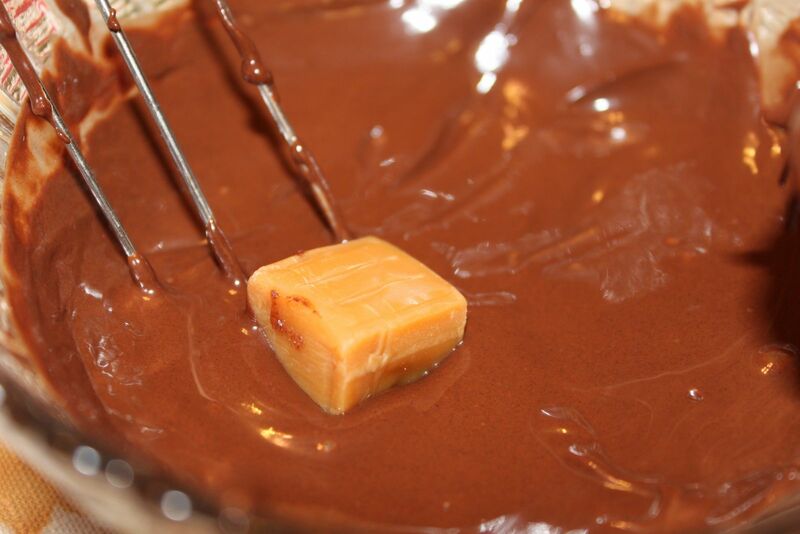 I always add a small amount of shortening to my chocolate to make it smooth and shiny. 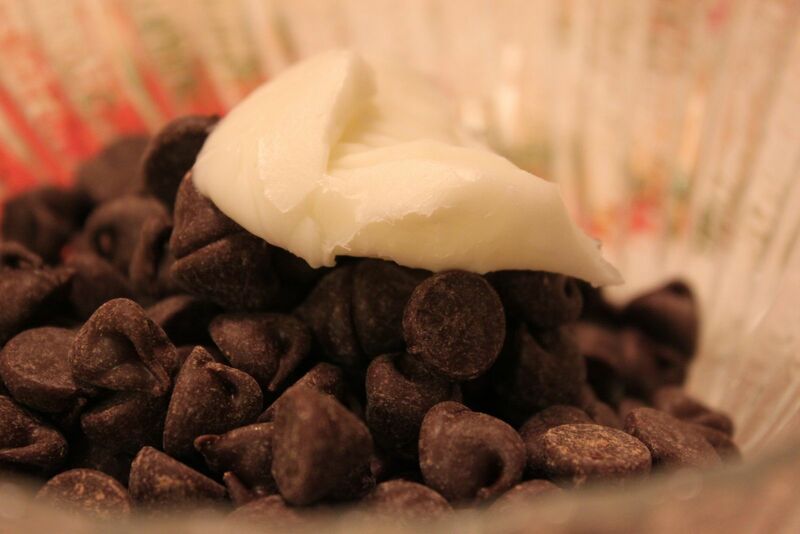 Melt at 30-second intervals until you get a smooth consistency. Here's a little tidbit - caramels are pretty hard. Be careful when inserting the toothpick. In fact, I found that the toothpick system wasn't working for me. 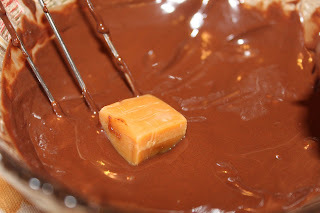 I just dropped the caramel in the chocolate and used my candy-making fork to coat the chocolate. Two forks would work, too. Drop the coated caramel on wax paper and immediately sprinkle with the salt. I put mine in the refrigerator to chill until the chocolate was set. My Review: I did like the combination of caramel and salt. On the negative side, I prefer the taste of milk chocolate to semi-sweet so I will make that change next time I make them. To be honest, I only made six pieces to see how I like them. 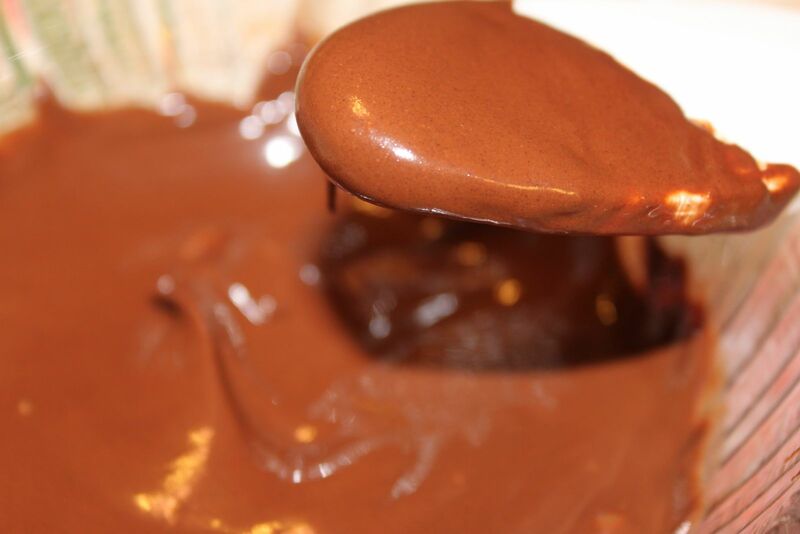 I will make more next week when I start my gift baskets, but I will use milk chocolate. You should use the chocolate you prefer. 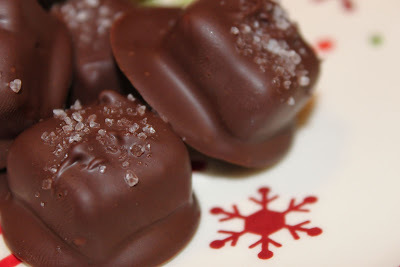 Although this recipe needs some tweaking for my tastes, I did like sea salt/caramel combination. I feel hipper already! !